The Global Studies department and Professors Paul Basinski and Jean Cowan are hosting a trip to Chile during Spring Break 2019. Please contact them or Teri Lehuray at (845) 341-4343 for more details. Please visit our Travel-Learn Opportunities page for more information! PICTURES: Professor Heidi Weber of the Global Studies department visiting West Point Military Academy with her Civil War club students, spring 2014. PICTURES: Professor Heidi Weber presented this past March on her Civil War research at a conference in South Carolina. PICTURES: Honors Students from Prof Heidi Weber's Holocaust seminar deliver presentations in the Gilman Center for International Education. The seminar was also attended by a representative from Governor Andrew Cuomo's office. Dr. Heidi Weber, February 16, "Okinawa: Island of Battles"
Dr. Heidi Weber of the Global Studies Department with United States Navy veteran Chester LeBaron, who served in the Battle of Okinawa in the Pacific Theater during World War II. On February 16 on the Middletown campus, Dr. Weber gave a talk, "Okinawa: Island of Battles," as part of GLOBAL INITIATIVE: ISLANDS. Come join with the Global Studies Department for our Spring 2017 voyage to Great Britain. We'll spend almost 10 days - from March 17-27 - visiting important and interesting sites of cultural, political, religious, and literary relevance in the England, Scotland, and Wales - including 5 days in London! A deposit is required by October 15. Contact Teri Lehuray at (845)341-4343, or terilehuray@sunyorange.edu for more information. The theme of the Department of Global Studies Global Initiative project for the 2016-2017 academic year is "Islands." Please check the GI website for more information about the various lectures, events, and projects that will be held on the Middletown and Newburgh campuses in the coming year. Prague! Budapest! Krakow! And Other Exciting Sites of Cultural and Political Importance! Come join with the Global Studies Department for our Spring 2016 voyage to Eastern Europe. We'll spend almost 10 days - from March 18-28 - visiting important and interesting sites of cultural, political, religious, and literary relevance in the Czech Republic, Poland, Hungary, and Slovakia. A deposit is required by October 15. Contact Teri Lehuray at (845)341-4343, or Greg Geddes at gregorygeddes@sunyorange.edu for more information. The theme of the Department of Global Studies Global Initiative project for 2015 is "Water." Please check the GI website for more information about the various lectures, events, and projects that will be held on the Middletown and Newburgh campuses in the coming year. The kick-off event for Global Initiative 2015: Water, has been rescheduled for February 12, 2015. With Professors Paul Basinski, Chair of the Global Studies Department, and Dr. Walter Jahn, it will be held in the Rowley Building, Forum, Room 010, at 11 am. Please make plans to attend! MARCH 2013: Professors Paul Basinski, Gregory Geddes, and Demos Kontos travelled to Germany and Austria with 4 other members of the college, twelve students, and community members for Spring break. March 29, 2010, Professors Paul Basinksi and Michael McCoy recently returned from a travel-learn trip to the United Kingdom. November 9, 2009, Heidi Weber, Instructor of History Global Studies, will be giving the Gilman lecture Tuesday Nov. 7 at 7 PM in the Gilman Center, entitled: "She sowed the wind and she shall reap the whirlwind: the impact of total warfare of the lives of South Carolinians, 1865"
November 9, 2009, The department of Global Studies and SUNY-Orange Honors Program presents a Holocaust Remembrance Night on November 30, 2009 at 7 PM in the Gilman Center. June 15, 2009, SUNY-Orange students and Dr. Cory Harris participated in a three week archaeological excavation in Putnam County, NY. According to local lore, the site was an inn/saloon during the Revolutionary War. This project intends to determine the historical depth and importance of the site. The project was a cooperative endeavor between SUNY-Orange, SUNY-Westchester and CUNY-Hunter. June 5, 2009, On Friday, recent graduate Thomas Quinn became the first SUNY Orange student to win a “Best of Category” award at the prestigious Beacon Conference, a gathering of the top community college students from the Mid-Atlantic states. The Beacon Conference showcases the achievements of outstanding two-year college students in academic research and writing. Students work with mentors from their colleges to prepare and submit papers that demonstrate outstanding scholarship and originality. The topic of Quinn’s winning paper was “Peers and Parents: Horizontal and Vertical Learning Strategies among Chimpanzees." Instructor Dr. Cory Harris was his mentor on the project. Quinn, of Slate Hill, N. Y., graduated in May with a degree in liberal arts. Presentations are judged on originality and quality of research, written work and the oral presentation. Winners and their mentors each receive a $100 honorarium. May 13, 2009, Professor Barry Kass has received two honors for his work in visual anthropology. "The view of Machu Picchu from Intipunku, the Sun Gate" which is presently on display as part of the "Gold in the Americas" exhibit at the Museum of Natural History in Paris, France. "Street Scene, Aswan, Egypt" which is a "Finalist" in the American Anthropological Association's 2008 Photo Contest. May 11, 2009, Professor Michael B. McCoy’s article, “Barbarian Philosophe: Market, Modernity and the Enlightenment on James Smith’s Frontier,” will appear this summer in Pennsylvania History: A Journal of Mid-Atlantic Studies “Special Issue: Pennsylvania and the Atlantic World” vol. 76 no. 3 (2009). Professor McCoy has also been invited to present his paper “An Unflattering Mirror: Capitalism, Radicalism, and the Republic in James Smith’s Shakerism Discovered, 1810” at the 78th Annual Pennsylvania Historical Association Conference. 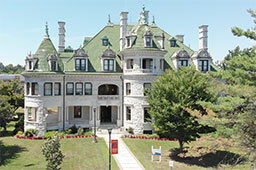 The conference will be held in October at Widener University in Pennsylvania. April 23, 2009, Dr. Michael Strmiska will give an overview of modern-day Paganism and discuss his research into the Ásatrú movement in Iceland and Scandinavia and Romuva in Lithuania. April 23, 2009, Dr. Demos Kontos was honored by the college today for his 40 years of service to SUNY-Orange. Global Studies Department Chair, Paul Basinski, recently praised Dr. Kontos' career, describing that "Demos has been a tremendous presence for the Global Studies department and the college as long as he’s served here. I am so impressed with his passion and commitment that he brings to his history courses." The rest of the Global Studies Department agrees. April 20, 2009, The Civil War Club traveled to the Gettysburg Battlefield with Professor Heidi Weber this past weekend. Their tour was led by West Virginia University's Eberly Family Professor of Civil War Studies, Peter S. Carmichael. March 30, 2009, Dr. Cory Harris was awarded a Learning Innovation Grant from the Center for Teaching and Learning. This grant will be used to purchase equipment for an archaeological excavation to take place in the summer of 2009. February 19, 2009, The Low-Tech Collective presented a stone tool making demonstration by Gary Sipila. Mr. Sipila discussed the basics physics of lithic tool production and then allowed participants the chance to give it a try for themselves. January 21, 2009, Professor Paul Basinski and the Young Democrats trip to the Inauguration of President Obama on Jan 20, 2009, was an historic occasion for the country and SUNY Orange students.